I graduated in 2008 gaining a upper second class honours degree from Glasgow Caledonian University. I then spent the following year successfully completing the Masters in Physiotherapy degree in the same university. During my studies I worked with the youth team of the Scottish premier league football team and as a physiotherapist in a private Glasgow hospital covering post-operative care. I started working full time in NHS Lothian in July 2009 working in musculoskeletal care. It was here I completed several postgraduate courses including the Society of Orthopaedic Medicine Diploma in Musculoskeletal Medicine course and an acupuncture course. I have been very fortunate over the years to be part of a service with a strong in-service training programme advancing my specialty in musculoskeletal physiotherapy. 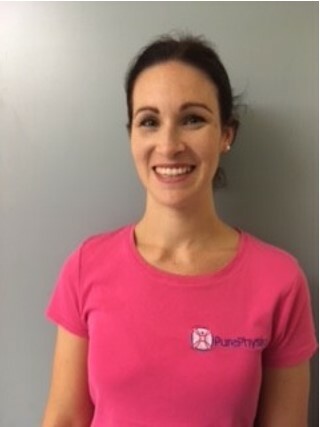 I enjoy treating a wide range of musculoskeletal issues including orthopaedic conditions, sporting injuries, repetitive strain injuries, acute and chronic low back pain, cervical headaches, arthritic joint pain and women’s health including antenatal/postnatal muscle and joint pain. I have also started my Pilates instruction course and looks forward to completing this in the future. In my spare time I am kept busy with my adventurous children and martial art loving husband! I try to escape to my Pilates mat or gym to relax!